Sam sneaks out of the back seat of Joan and Bob's convertible to do some exploring. After creating excitement on downtown sidewalks and losing track of Joan and Bob, Sam is finally reunited with her owners. Sam doesn't believe she was lost at all -- Joan and Bob were! This Level 1 first reader contains short stories, simple sentences, easy vocabulary, simple visual clues and lots of repetition. About Mary Labatt (Author) : Mary Labatt is a published author of children's books. 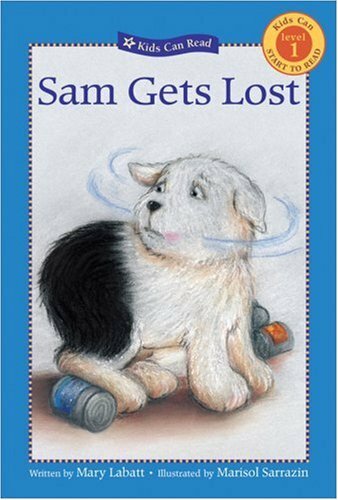 Some of the published credits of Mary Labatt include Sam at the Seaside (Kids Can Read), Sam Goes Next Door (Kids Can Read).